Unfortunately you have missed our Taster weekend for 2019. 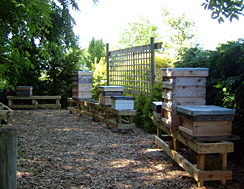 However, if you are local to North Shropshire and keen to find out if you like beekeeping, we hold weekly sessions at our training apiary. There you will be able to spend time with experienced beekeepers who will show you how to handle the bees. 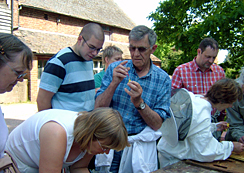 In the past some of our new members have spent the summer coming to the apiary and then gone on to attend the taster weekend, to help fill in any gaps. 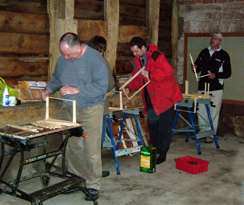 The Association normally runs a 'Taster in Beekeeping' course each year in the spring for people interested in taking their first steps with keeping bees. 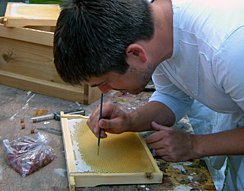 The association draws its educational strength from its own pool of enthusiastic and highly experienced beekeepers and master beekeepers who volunteer to give up their own free time to teach others. This can mean timings and dates have to change in response to unforeseen circumstances and in such an event, alternative dates or a refund will be offered. For more information and booking details, please contact the Association's Education Officer. Once you have kept bees for a season or two we encourage all members to do the BBKA Basic Assessment which demonstrates you have attained a general proficiency in beekeeping. For those members who are keen to learn more we have informal tutor groups and encourage correspondence courses for the BBKA modular exams. 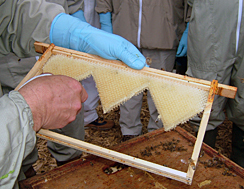 Our Association currently has a number of Master Beekeepers and several of our members are working towards Master Beekeeper status which involves, among other things, a detailed practical assessment as well as completion of the theory modules. 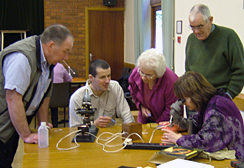 We also run courses from time to time on particular aspects of beekeeping such as Queen Rearing, Food Hygiene, and Microscopy courses which enable us to examine the anatomy of the bee and diagnose adult bee diseases. 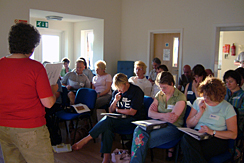 See BBKA examinations and assessments for more information etc contact the Association's Education Officer. * The content of this page is provided for information only. All dates, details and prices etc., are subject to change or withdrawal without prior notice. Please verify the details before acting on them.